Like the fine people at Oreo, Inc., the makers of M&M’s aren’t content to just sit on their candy asses and coast on the same old flavor profiles. 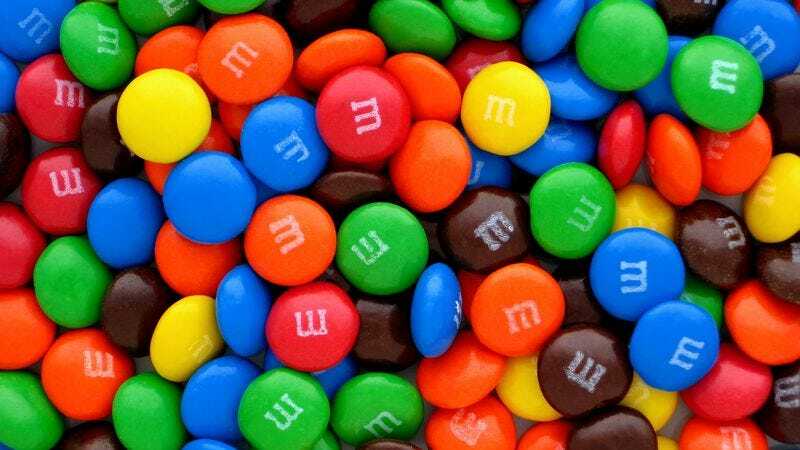 Rather, M&M-Mars constantly churns out new flavors, enticing Easter buyers with White Chocolate Carrot Cake candies and tricking unsuspecting buyers into picking up pack after pack of disgusting coconut M&M’s. The staff of The A.V. Club is, of course, composed of exactly the kind of simpletons who are impressed by “crazily” flavored items, so when we heard about a couple new M&M’s varieties—Birthday Cake and Red Velvet Cake—we ran right down to the store and scrounged some up. We also grabbed some packs of Mega M&M’s, which are billed as having three times the chocolate as regular M’s, a claim that translates to the candies simply being three times bigger. Our quickie reviews of the products are below, with John Teti, Josh Modell, Erik Adams, David Anthony, Kyle Ryan, and I all weighing in on the sweet artificiality of these new candy-aisle goodies.